Thank you to everyone who helped me find a copy of Knitting Triangles by Evelyn Clarke! These Pipeliners also offered to send me a copy out of the sheer goodness of their hearts: Diane/Citronlady, Smurphy=Sarah, Nancy in Holland MI, Kimberly of the SockBunnyKnit andFit Podcast. I accepted the first offer from Diane. I read a Pipeliner Note from Mildred, age 13. I hope to meet Mildred someday. Piper’s Journey will be published by Quince & Co. at the end of January. 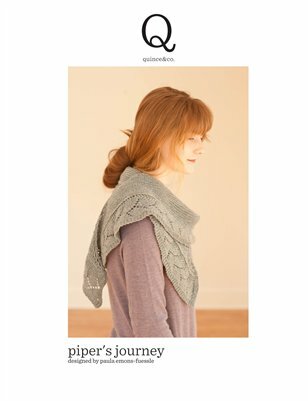 Piper's Journey is a crescent-shaped shawl with a not too lacy border. Materials are 3 skeins of Quince & Co Chickadee. 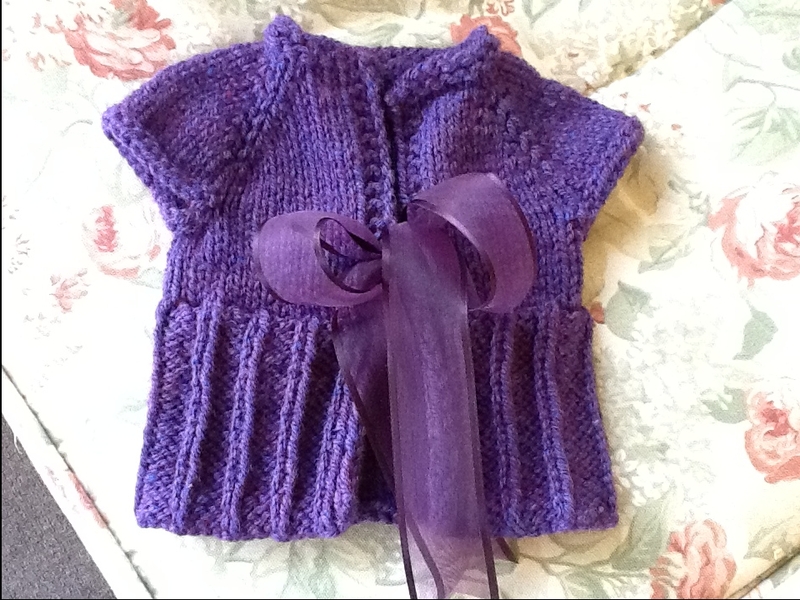 I am looking for a few test knitters to try out this pattern right away. I will email pattern to you. Please contact me by email Paulaef@aol.com. The first 5 to respond will be accepted. 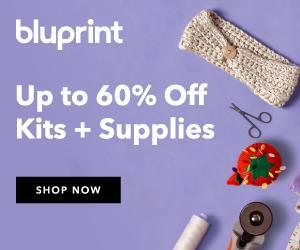 You do not have to use the yarn that is recommended for the pattern. Marcella’s e book by Gina Bonomo aka Skeincocaine $20 for book. $5 individual pattern. I forgot to put in short rows! Woe is me. This may haunt me forever. My nephew produced a clever video featuring the bed he made and Woodturner Pully. The house where this film was made was built by my dad in the 1960’s. The watercolor paintings on the walls are by my dad. Dad made the lamp and the small table. And yes, that’s my little mom with my nephew! Cocoa Blocks from King Arthur Flour site. When making hot chocolate, bring milk to a boil first to melt the chocolate and then bring it to a second boil. The second boil makes the chocolate extra rich and creamy. Music of the Spheres Matteis: Ground after the Scotch Humour. This podcast was one of the best ever! (But they are all good!) I enjoyed it thoroughly. Thank you for the inspiration. As always I enjoyed the podcast. I wondered if you would talk about Snowy Owls. Some have been sighted in Nebraska and Iowa also. Our local newspaper ran an article on the sightings. The local raptor center is asking anyone in southeast Nebraska who sees a snowy to report it. The center is concerned the birds who are this far south may be weak, sick, or injured. I'm hoping to see a snowy owl this winter but also hoping they are able to remain healthy. Like you if I see one, I'll be moved to tears. Congratulations on having your pattern published. It looks lovely. Paula, as always you put a big grin on my face and lighten my heart. Congrats on getting published. Your Pipers Journey shawl looks gorgeous! I can't wait till the pattern is out. Thanks so much for yet another enchanting podcast! Paula - your nephew looks like he is a lot of fun! Your mom is adorable and how proud she must be of your dad's beautiful work and to get to live in the house he built in the 60's is amazing. What a great video! Your sweater is gorgeous and it appears to fit him perfectly. Plus, he seems to love it! Take care and you are so appreciated. Your wonderful nature notes lifted me from urban southern California freeway noise to the quiet of a winter meadow preparing itself for the rare visit of the regal snowy owl. Your podcast is a treasure and has inspired me to take up knitting after 15 years! Hi Paula! Sweet letter from Mildred. And your nephew is in Germany now? I hope he's going to visit the Wollmeise shop for you! Interesting info on the snowy owl. We are now on the watch for one. Very pretty shawl you designed. Thank you for the enjoyable episode! Love the bed video and the Edgar Guest New Year poem! thanks! Thanks for the tip on Island at War. I started watching and have watched the first 3 episodes this afternoon and will hopefully finish it up tonight, or tomorrow. It's really great! It filled in until Downton Abbey Sunday!